Sibling similarity: Younger brothers and sisters of children with autism are at increased risk of having autism too. 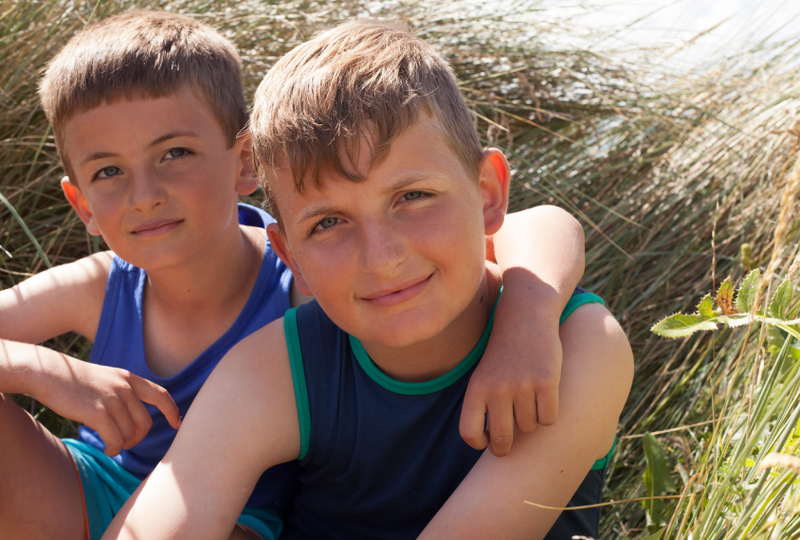 Children who have an older sibling with autism are 14 times more likely to have the condition than are those without a family history of the condition. This finding is based on a large study that relied on health records in California1. The study also confirms that younger brothers of children with autism are more likely than younger sisters to be diagnosed with the condition. It found a smaller increase in risk than a 2014 study, which reported a 20-fold increase in autism risk among younger siblings of children with the condition. The new findings were published 5 August in the Journal of Developmental & Behavioral Pediatrics. Researchers have used a range of methods to estimate autism risk among so-called ‘baby sibs.’ Many rely on medical records; others track these children over time. All of the studies have pointed to an increased risk. The researchers are not sure why the risk might be higher among younger brothers than younger sisters, aside from the fact that autism is more common among boys. “We don’t really know what’s behind that,” Getahun says. Some studies have suggested that there is a protective factor in girls or a screening bias that skews toward boys. Getahun and his team combed the medical records of children born in the Kaiser Permanente health care system in Southern California between 2001 and 2010 to identify those with an official diagnosis of autism. Of 50,595 older siblings, 992 had autism. Of 53,336 younger siblings born to the same mothers, about 592 had autism. Roughly 11 percent of baby sibs have an autism diagnosis, compared with 0.92 percent of control siblings. The comparable statistics in the 2014 study were 10 percent and 0.52 percent. Other estimates of autism prevalence in baby sibs have been nearly twice as high, around 20 percent. But the prevalence among controls in those studies was also elevated, making the relative risk of autism in younger siblings about the same as in the new study. The researchers also looked for any potential effects of gestational age or race as well as gender. Previous studies have shown an increased risk of autism among children born preterm, but the new study found no evidence for increased risk among baby sibs who were born prematurely. This may be because the researchers excluded children born before 28 weeks of pregnancy, says Daniel Messinger, professor of psychology at the University of Miami in Florida, whose team came up with a 20 percent risk estimate2. Messinger was not involved in the new study. Race also has no influence on autism recurrence in families. But there may have been too few children with autism of some races to detect meaningful differences, Messinger says. The researchers did discover that younger brothers of children with autism are three times more likely to be diagnosed with the condition than younger sisters. This statistic held regardless of the gender of the older sibling. The higher prevalence among brothers is consistent with the ‘female protective effect,’ which posits that it takes more mutations to trigger autism in girls than it does in boys. If this hypothesis is correct, the risk should be higher among the younger siblings of girls than of boys. The researchers “see a trend in this direction, but it is not significant,” Sanders says. The researchers would need medical records from thousands of younger siblings with autism to tease out all the effects of gender, Sanders says.